WHITE DOG BAKERY is a commissary kitchen that produces all desserts and baked goods for the 6 Philadelphia locations. The team consists of 6 pastry professionals who work in a team-based work environment. 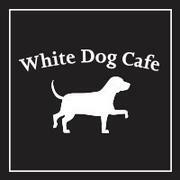 White Dog Bakery is located in Wayne, PA. The Commissary Driver position entails picking up pastry orders from our bakery located in Wayne, PA each morning, loading the refrigerated truck, and delivering product to the 6 restaurants in Philadelphia. This job is 35-40 hours per week.